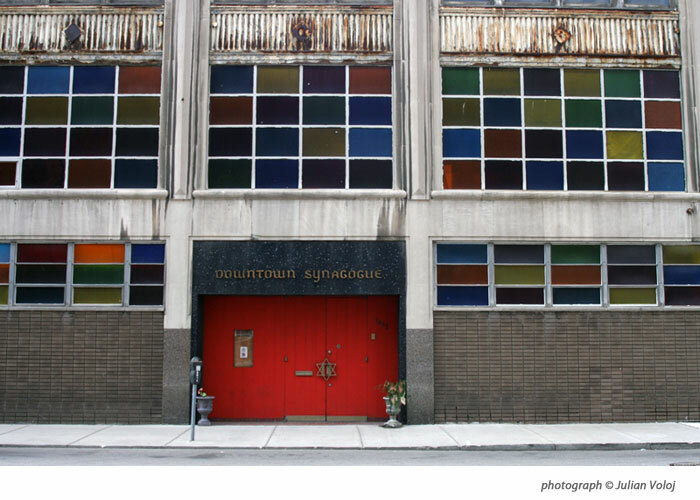 Synagogues are built by Communities with hope and prayers for the future, and yet, as places of Tradition, they embody the echoes of past generations. History brings changes to Communities. They move, they migrate by choice or because of forced upheavals, and with these changes they leave behind the physical constructions of Synagogues. 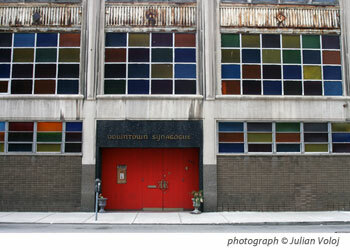 In their new forms, the former Synagogues meld the past with the present. They speak to us of what was, what was hoped for, and, often of the new hopes of those who occupy these structures today, be they Churches, Mosques, Community Centers, or renewed Synagogues. The Artists in this exhibition are researchers and travelers. As interpreters of history, they photograph, document, represent, they weave together the stories of the past and the present. Working with the stories of Synagogues from throughout the Americas, Europe, India, and Israel, their work evokes the bittersweat traces of melded histories. The Holocaust Memorial Center is dedicated to one of the most disruptive social upheavals of our time. And yet it is a fitting location for an exhibition that remembers that history is also made up of other changes, of other Migrations.